First and foremost it is important to understand that Disney acquired Marvel Entertainment because they like where the company is and is heading. Disney's goal is to maximize Marvel's brand. In the deal, Disney has acquired over 5,000 characters within the Marvel Entertainment brand. Disney's idea is to allow Marvel Entertainment to keep up what their doing and only have the benefit of a Conglomerate like Disney backing them. 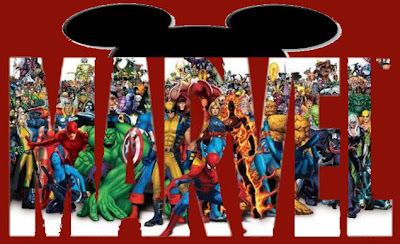 Ike Perlmutter, Marvel's Chief Executive Officer was quoted during a conference call this morning saying, "Disney is the perfect home for Marvel's fantastic library of characters given its proven ability to expand content creation and licensing businesses." Disney's President and CEO said, "This transaction combines Marvel’s strong global brand and world-renowned library of characters including Iron Man, Spider-Man, X-Men, Captain America, Fantastic Four and Thor with Disney’s creative skills, unparalleled global portfolio of entertainment properties, and a business structure that maximizes the value of creative properties across multiple platforms and territories." Some clarification, as far as the Marvel movies out there at various studios, those for now will stay the same. Meaning Fox will continue to have rights to X-Men, Daredevil and the Fantastic Four, Sony will keep rights for Spider-Man and Paramount the likes of Iron Man, Thor and Captain America. That doesn't mean as property rights begin to lapse or come to the end of their terms with said studios, that Disney will not push to acquire those film rights as well. Disney definitely wants to over time become the sole distributor of Marvel films. Head over to Disney or Marvel where you can read the full press release or listen to the conference call from this morning.